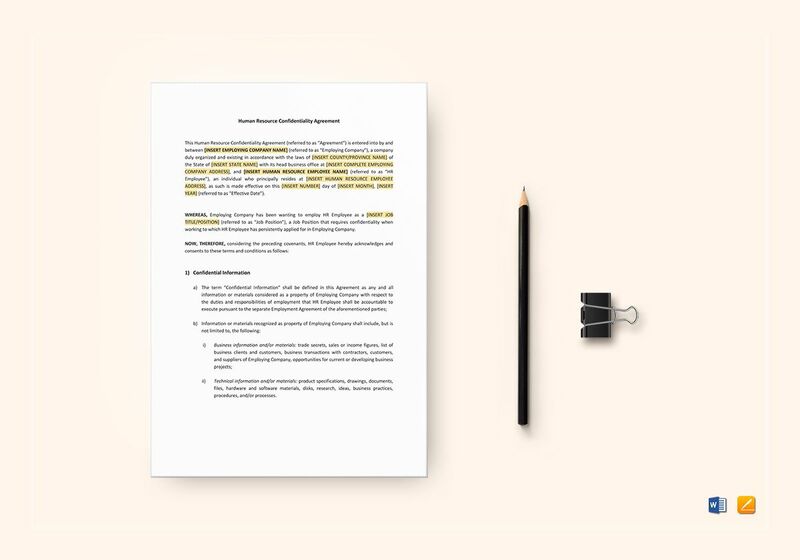 When using outsourced job hunters, protect your interests using this HR Confidentiality Agreement Template. 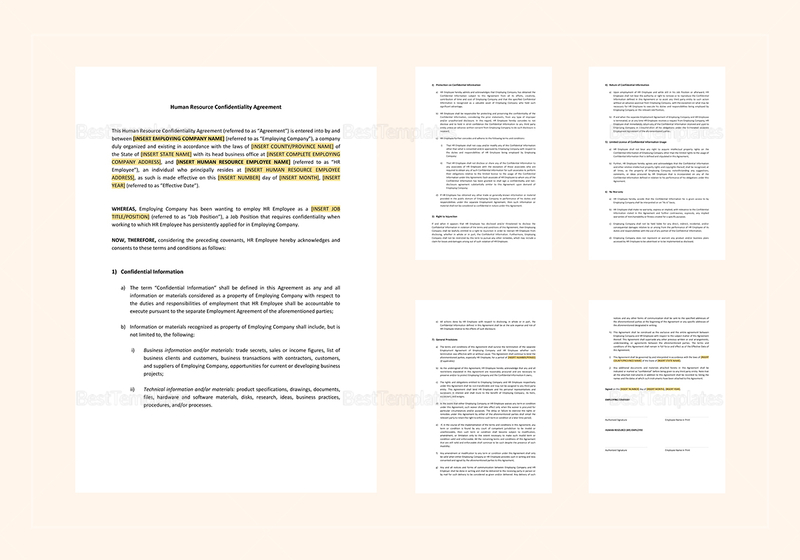 Download this 5-page, fully customizable document and get instant access anytime and anywhere. 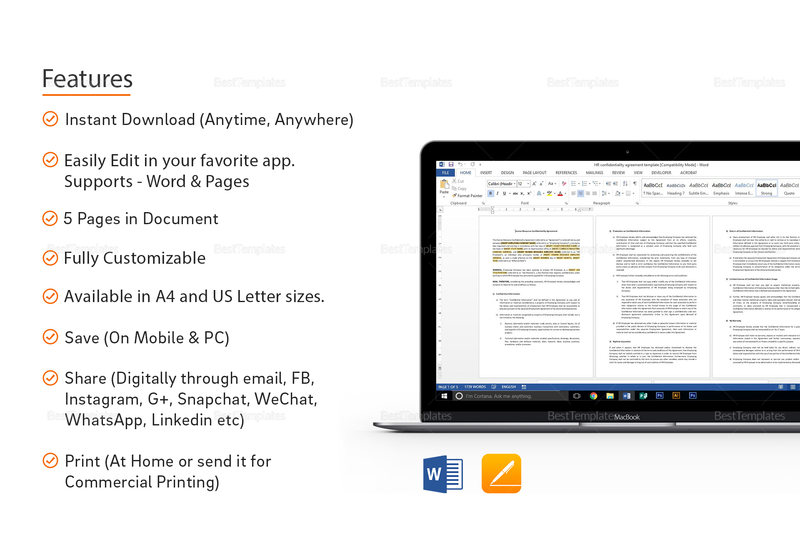 Open using your favorite application that supports file formats for MS Word or Pages. Replace the highlighted text with your information and print out. Review and send to concerned parties through normal delivery or through electronic mail.